WIN £100 off your next food bill at Sakushi! Are you looking for an excuse to celebrate this month? Perhaps you’re a little bit skint after all those Black Friday deals that were just too good not to miss. Winners of our third and final competition in collaboration with Sakushi will receive a whopping £100 off their final bill when dining out at the city centre restaurant. All you need to do to be in with the chance is comment ‘I love sushi’ on the dedicated post over on our Facebook page. We’ll then choose a winner at random on Friday 30 November after 5pm. Did you know? 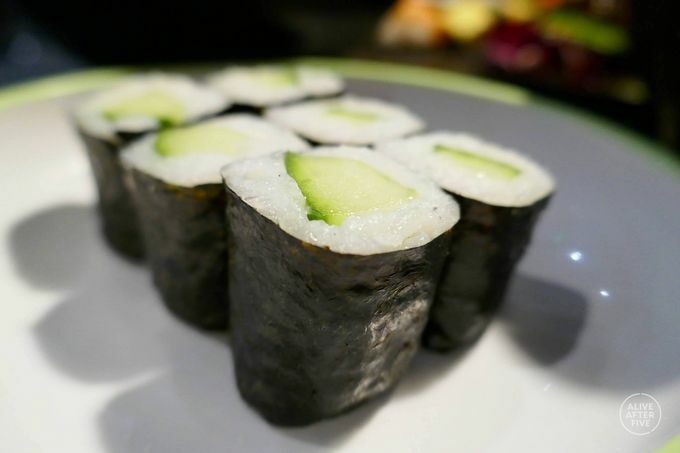 You can book your alternative Christmas meal for groups of all sizes at the city centre sushi bar and restaurant. Whether you're looking for something outside the dry turkey and two veg-shaped box this Christmas or you fancy spicing your festive season up a little, trust Sakushi to feed you with the city's best Japanese food and drink (they do cocktails!) this Crimbo. For further details and to book with Sakushi, call 0114 273 7399 today, or drop it a message over on its Facebook, Twitter or Instagram pages. The small print: Competition closes on Friday 30 November at 5pm. Users must be following Alive After Five and Sakushi to be eligible. For further information on competitions at Alive After Five, click here.